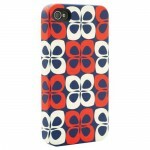 Probably one of the most ingenious, creative and down right protective cases to ever be launched for the iPhone has a new range coming out designed exclusively for the iPhone 5. Meet the brand new Griffin Survivor Tough Rugged Case For iPhone 5 designed for those who want extreme iPhone protection. Griffin are not merely boasting when they say that their Griffin Survivor Tough Rugged Case For iPhone 5 is one of the most protective cases ever built. They’ve had it independently tested to meet US Department of Defense Standard 810F just to prove what it can stand up to, now that’s dedication. The Griffin Survivor Tough Rugged Case For iPhone 5 is designed to be the ideal case for anyone who lives life on the edge; extreme sports, jobs that take you out your comfort zone or those that simply drop their iPhone more than is good for it! The Griffin Survivor Tough Rugged Case For iPhone 5 has proved to be dust, sand, rain, shock and vibration resistant meaning it can pretty much stand up to anything you throw at it (or throw your iPhone into!). Made from a shatter-resistant polycarbonate frame enclosed in rugged silicone, the Griffin Survivor Tough Rugged Case For iPhone 5 also has a built-in screen protector and hinged plugs for the iPhone 5’s dock connector, headphone port, hold switch and volume controls. What’s even more is that Griffin have added a heavy duty clip to the back which makes it easy for you to attach your iPhone to a belt or bag strap. 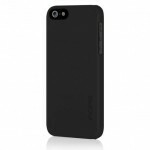 Wow, we didn’t think iPhone 5 cases could get any stronger! And if you still don’t believe that the Griffin Survivor Tough Rugged Case For iPhone 5 is really capable of standing up to all this, check out the Griffin team below trying to destroy an iPhone 4 (in an earlier model of the Griffin Survivor) and you’ll be pretty amazed at how much the poor iPhone can take! 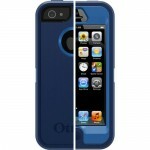 Here at eoutlet we currently have the Griffin Survivor Tough Rugged Case For iPhone 5 available to pre-order (it will be shipped as soon as it lands from our supplier) in the following colours; Black/Black, Black/Blue and Black/Citron.